Amid the dozens of Super Bowl ads vying for the top spot as most memorable, one that stuck out to us was Sprint’s depiction of Evelyn, the advanced AI robot who advises her creator to switch wireless carriers. * Whether or not you work in Artificial Intelligence and technology, the ad is clever enough to make you at least chuckle as the robots point and laugh at the stupidity of their human counterpart in the lab. But if you are still learning about how AI is going to impact our world, the ad actually does a smart and subtle job of indicating what some of those impacts could look like if applied in different ways. 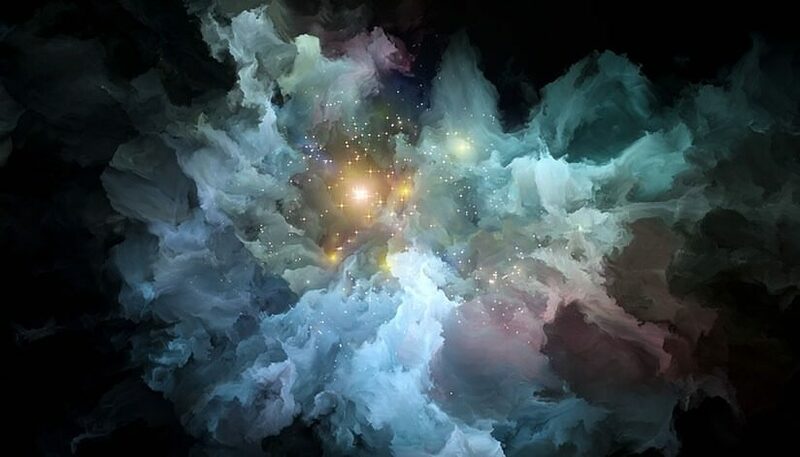 Let’s explore, in the context of the commercial, three important characteristics of AI in business today. 1. AI is used for extensive data analysis that happens quickly. In order to make the ad funny and recognizable, they went with the “I, Robot” / “Ex Machina” look for the AI bot that says it analyzed the data about the two competing wireless networks. Realistically, the AI bots that perform most data analysis do not have this human-like identity, nor do they have ‘bodies’ at all. What they do have is the capability to analyze enormous amounts of data and find trends and outcomes. In this case, Evelyn analyzes all the data points about wireless networks and the outcome is that they are not so different after all. But for your business, data analysis might mean evaluating all of the inbound customer calls that go through self-service, and the outcome is that 65% of customers that check an order status do so within the first two hours of purchase. 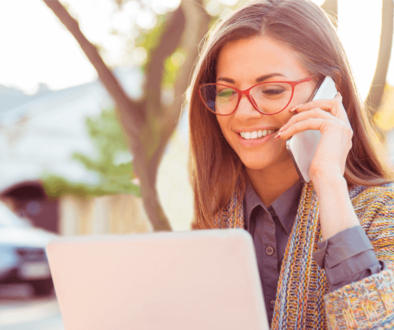 You might decide to handle the order process slightly differently, or choose to greet the customer in a proactive way (“Hi Jill, are you calling to check on your recent order?”) in order to limit those inbound calls. While a small piece of the commercial, data analysis is an integral trait of AI and one that forms the baseline for how powerful it can be. 2. AI can mimic what humans do. Again as an attempt to shock the audience and generate a laugh, a second robot is introduced to mock the creator by patronizingly repeating in a nasally voice, “I never thought of that.” It is funny, but it also demonstrates another key aspect of Artificial Intelligence: it mimics human behavior. In reality, AI is not able to actually perform this type of mockery; but from a customer service perspective, it is capable of mimicking the actions of live representatives. One of the first questions we ask when evaluating how to customize a conversation for self-service is, “How do your agents do it today?” With AI, you can follow the same processes and protocols that humans had been following, but at a more efficient pace (remember the data analysis above). 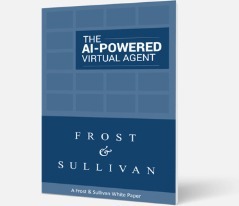 Mimicking human behavior is also one of the best practices outlined in this white paper on self-service strategy, and the commercial has a clever way of poking fun at this AI capability. The last line in the commercial comes from the robots’ creator who says his coworkers were making fun of him for using the wrong network. Jokes aside, here is another subtle reference to the future of AI: working alongside humans. Even now, humans and robots are seamlessly working together, maybe without even realizing it. 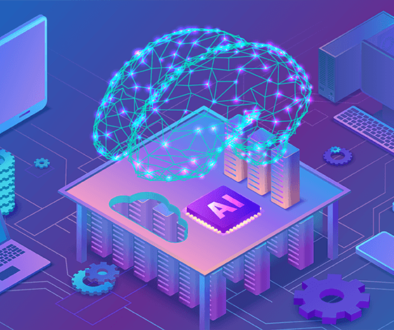 For example, as discussed in this infographic, an AI-powered greeting at the front end of customer service calls can properly capture information and quickly pass along that info to live representatives who will handle the customer’s need. 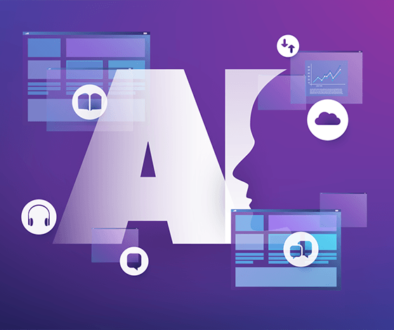 This collaborative effort to solve customer issues is one that will only continue to grow as AI becomes more adopted by businesses and customers alike. Soon, live agents will see intelligent virtual agents as co-workers, helping them to achieve their own goals more quickly and easily. While commercials are fun, they can also provide hints as to what the future will bring. There is no doubt that AI will continue to infiltrate our everyday lives, as evidenced by the number of ads that referenced it this past Sunday. It is important to focus on the practical applications of AI, rather than the sensational ones we see in pop culture, because there is real value and ROI in what the technology brings to businesses. *Disclaimer: SmartAction does not endorse any wireless carrier as part of this blog. The commercial is used for reader context.